The Walter Camp Football Foundation has announced the Football Bowl Subdivision National Offensive and Defensive Players of the Week, presented by Generation UCAN, for games ending November 5. 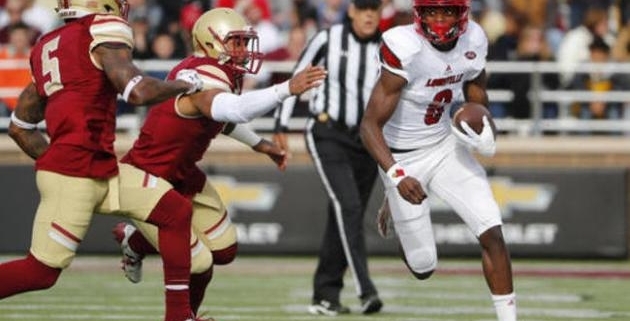 Lamar Jackson accounted for seven touchdowns (4 passing, 3 rushing) as 7th-ranked Louisville defeated Boston College, 52-7. Jackson passed for 231 yards (12-of-17, 4 touchdowns) while rushing for 185 yards and three scores in just three quarters. With the victory, Louisville improved to 8-1, 6-1 in the ACC. Notes: Lamar Jackson is the first player (since 2004) to earn Walter Camp Player of the Week honors three times in a season. 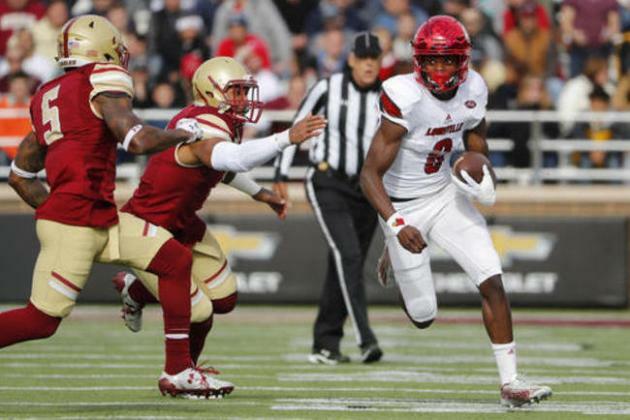 Jackson, who won the award on Sept. 4 and 11, is the fifth Louisville honoree to earn Player of the Week honors, joining former Cardinal standouts Elvis Dumervil (Sept. 6, 2005) and Gerod Holliman (Nov. 9, 2014). The Alabama defensive unit held LSU to just six first downs and 125 yards of total offense in a 10-0 victory. The top-ranked Crimson Tide (9-0) recorded five quarterback sacks and held the 15th-ranked Tigers to just 33 rushing yards (on 27 attempts). Notes: This is the second time since 2004 that a “team” has earned Walter Camp National Players of the Week honors. On Sept. 25, 2005, the Virginia Tech defensive unit earned Defensive Player of the Week honors.